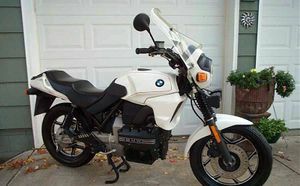 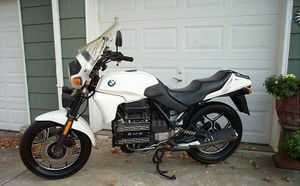 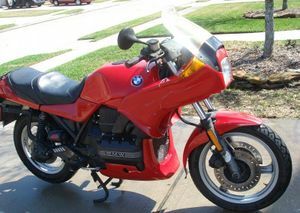 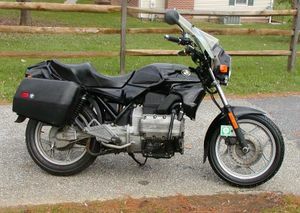 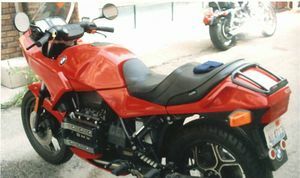 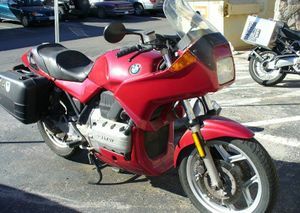 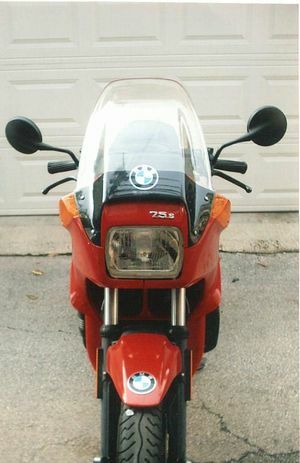 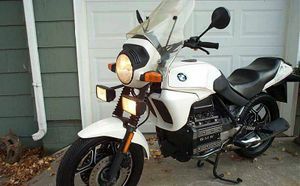 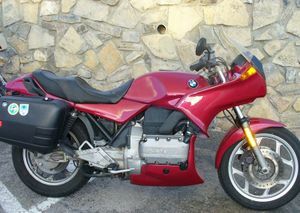 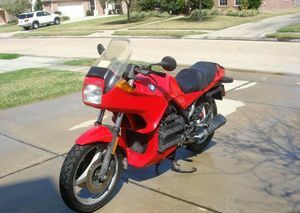 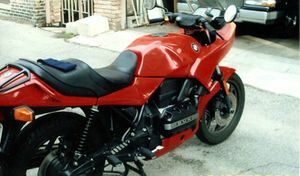 An all-new design that was supposed to replace BMW's traditional flat-twins, the BMW K100 arrived for 1984 restating the virtues of solidity, comfort and exemplary build quality long associated with the marque. 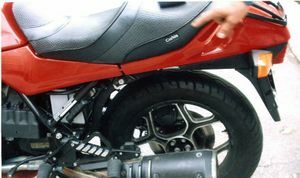 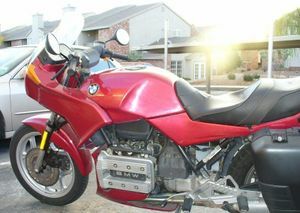 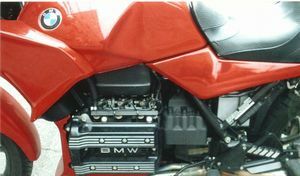 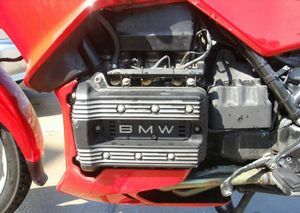 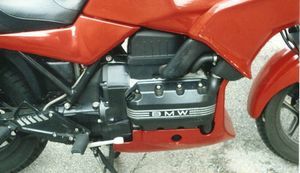 An 8-valve twin-cam unit displacing 998cc, the brick-like, four-cylinder motor was laid on its side, lowering the center of gravity, and mounted fore-and-aft to facilitate the retention of BMW's characteristic shaft drive. 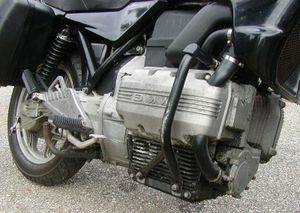 Bosch electronic fuel injection was employed and the long-stroke four developed its maximum output of 90bhp at a relatively low 8,000rpm. 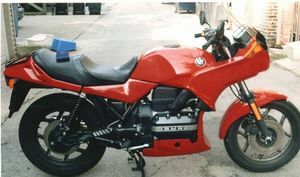 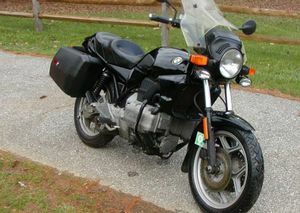 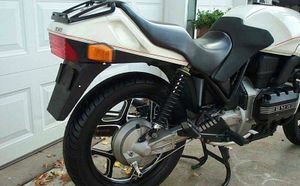 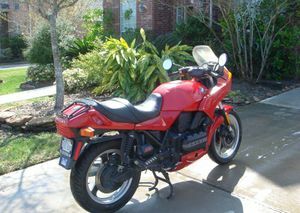 In 1985 the K100 spawned a 740cc three-cylinder K75 variant that featured a 120-degree crankshaft and a higher compression ratio. 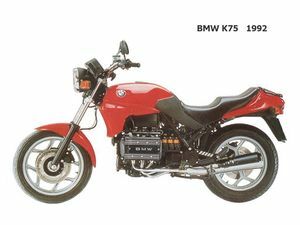 Weighing less than the K100 and with 75bhp on tap, the K75 was a lively performer and deservedly popular, but did not receive the development that went into the four-cylinder models, which would later benefit from four-valves-per-cylinder heads. 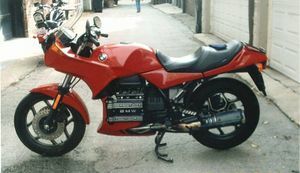 The usual range of BMW model variants was produced up to the end of three-cylinder K-Series production in 1995. 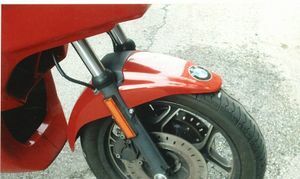 This page was last edited on 20 January 2011, at 19:25.